Is this the most gut-wrenching Ninja Turtles fan art ever made? Artist Joao Pires has created a series of wrenching portraits of the Teenage Mutant Ninja Turtles facing their final battle. 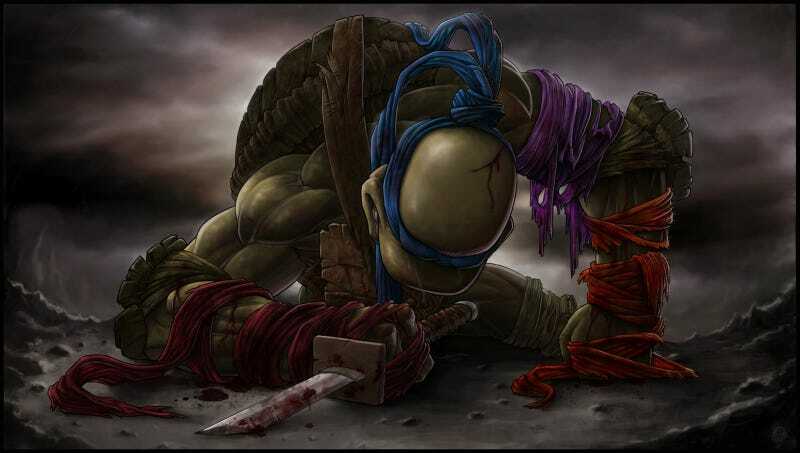 In each illustration, one of the bruised and battered turtles mourns his fallen brothers. The series is called, appropriately, goodbye, my brothers... and, oh god, Leonardo just looks so sad. I just want to give him a hug and clean off some of that blood.